How to Think About Databases — Extensive insights and perspective on the proper place for a database within your app’s code. The History of Hadoop in 30 Minutes — A 30 minute audio guide to Hadoop based upon this article. Deploying a Replicated Redis Cluster on Kubernetes with Flocker — A very extensive tutorial starting from the premise of why run Redis in Docker in the first place, through to pulling it off with Kubernetes and Flocker, a container data volume manager. One call to rule them all. 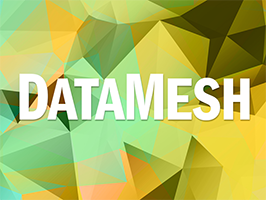 DataMesh. — DreamFactory 2 lets you manipulate data on multiple databases across multiple servers, all from one API endpoint. Instantly. Migrating Postgres to Amazon RDS Without Downtime — The maturity of database-as-a-service providers has improved over the last 5 years. Whether Heroku Postgres or Amazon RDS, there are now fewer reasons to manage your own. Here’s a great guide on how The Guardian migrated with no downtime from their own hosted instance to RDS. How We Monitor and Run Elasticsearch at Scale — Some lessons learned from monitoring and alerting on Elasticsearch in production, at scale, in a demanding environment with very high performance expectations. BigchainDB: A Scalable Blockchain Database — BigchainDB fills a gap in the decentralization ecosystem: a decentralized database, at scale. Scaling A Startup Using DynamoDB: The Pros and Cons — If you don’t want to do ops on your own database, DynamoDB is a fully managed proprietary NoSQL database on the AWS platform. Why We Chose HBase Over Other NoSQL Databases — AppDynamics, a company that provides app performance monitoring services, needed to store huge amounts of metrics for future analysis. Here’s a look at why HBase was a good fit. The Big Data Landscape — A gigantic searchable and sortable table of 680 companies in or related to the ‘big data’ ecosystem. Cassandra Infrastructure Engineer — Ever had to deal with massive SSTable bloat? Come join us and help run Cassandra at scale. First Milestone Release of MySQL Cluster 7.5 Available — Bringing ‘Cluster’s features to the 5.7 branch of MySQL. Free O'Reilly Ebook: Building Real-Time Data Pipelines — Learn how to use Apache Spark and Kafka to build real-time data pipelines and database architectures for supporting real-time data workloads. 11 Things You Should Know Before Deploying MongoDB in Production — Quick notes on aecurity, backups, replication, using SSDs, and similar topics. String Parsing in SQL — A quick look at string searching methods and using regular expressions in SQL. SQL Server 2016: New T-SQL Features — A look at 11 new SQL features in SQL Server with examples. rutil: Redis Multitool Utility — Lets you selectively dump, restore and query a Redis database, peek into stored data and pretty print JSON contents. DataNerd — Create a free account with New Relic and get a swanky shirt for FREE!